Thanks for working to increase flood resilience in your community. This is important work and you are not alone. The Flood Resilience Listserve is a great place to ask questions and offer ideas. Your Regional Planning Commission is available to help you prioritize your work and find funding. Several state agencies have important support to offer including the Agency of Commerce and Community Development (ACCD), the Agency of Natural Resources (ANR), the Division of Emergency Management and Homeland Security (DEMHS) and the Agency of Transportation (VTrans). There are also many non-governmental organizations with information and resources that can help. Below are some good starting places to find help for your work. If it is not clear, or if you have general questions, contact Ned Swanberg at 802.490.6160. Agency of Commerce and Community Development - Planning for flood resilient communities and economic health. 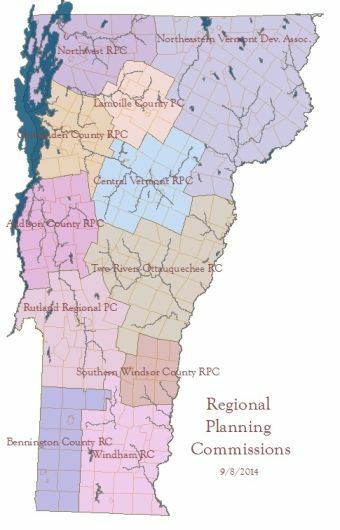 Vermont Regional Planning Commissions Full List - Environmental and economic planning strategies to enhance the quality of life for Vermont residents. Vermont Planning Information Center - A resource for planning commissions, zoning boards, development review boards, and others involved in land planning and regulation. 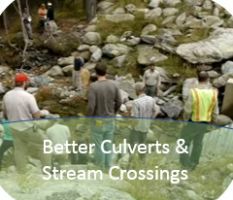 Vermont League of Cities & Towns, Water Resources Assistant - Professional assistance for municipalities seeking to promote comprehensive water quality and water resource protection. FEMA Multi-Hazard Mitigation Planning - State, local, and tribal governments can utilize this resource to develop a long-term mitigation strategy to reduce losses from disaster. 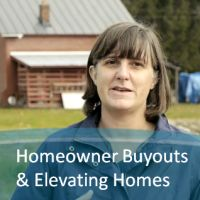 Vermont Floodplain Management at BlogSpot - A resource for towns that wish to be proactive in their floodplain management plans. Community Resilience - For information on building and maintaining self-reliant, sustainable communities. Conservation Law Foundation - Since 1966, Conservation Law Foundation has used the law, science, policy making, and the business market to find pragmatic, innovative solutions to New England’s toughest environmental problems. 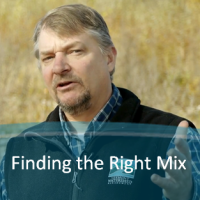 Connecticut River Conservancy (CRC) - Since 1952, the CRC (formerly the Connecticut River Watershed Council) has been leading the way to restore and protect the Connecticut River. Friends of the Mad River - The Friends of the Mad River is a private, non-profit organization committed to protecting, improving and enhancing the ecological, recreational, and community values of the Mad River and its watershed. Friends of the Winooski - The Friends of the Winooski River is dedicated to the protection and restoration of the Winooski River. Their goals are to reduce pollution, improve habitat, increase river stability and encourage passive and sustainable enjoyment of the river. Institute for Sustainable Communities - The Institute for Sustainable Communities gives passionate, committed people the tools and skills they need to inspire active citizenship, protect the environment, and take on climate change. Lake Champlain Basin Program - The Lake Champlain Basin Program (LCBP) works in partnership with government agencies from New York, Vermont, and Québec, private organizations, local communities, and individuals to coordinate and fund efforts that benefit the Lake Champlain Basin’s water quality, fisheries, wetlands, wildlife, recreation, and cultural resources. Lake Champlain Committee - The Lake Champlain region’s only bi-state citizens’ organization solely dedicated to protecting the health of the lake and accessibility to its waters. The Lake Champlain Committee (LCC) has a 50-year history of science-based advocacy, education and collaborative action. They take a whole-lake approach to issues that affect this natural treasure, which boasts nearly 600 miles of shoreline in New York, Vermont and Quebec. Lake Champlain Sea Grant - Lake Champlain Sea Grant is dedicated to improving the understanding and management of Lake Champlain, Lake George and their watersheds for long-term environmental health and sustainable economic development. USDA Natural Resources Conservation Service - Vermont - The Natural Resources Conservation Service provides leadership in a partnership effort to help people conserve, maintain, and improve our natural resources and environment. UVM Vermont Mobile Home Park Research Collaborative - In 2010, Dr. Baker and his team at the University of Vermont received a three-year research grant from the USDA's Disaster Resilience for Rural Communities Program to investigate the vulnerabilities of Vermont's mobile home parks and develop resources for increasing the resilience of these unique communities. Vermont Natural Resources Council - Through research, education, collaboration and advocacy, VNRC protects and enhances Vermont’s natural environments, vibrant communities, productive working landscapes, rural character and unique sense of place, and prepares the state for future challenges and opportunities. Vermont River Conservancy - The Vermont River Conservancy is a statewide, water-focused, nonprofit land trust supported by people, like you, who believe that the protection of exceptional shore land is essential to the quality of life in Vermont. Watersheds United Vermont - A state-wide network of local groups dedicated to the health of their home watersheds and to protect and restore Vermont's waters. 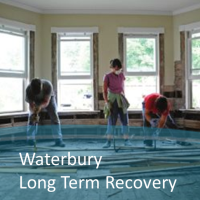 White River Partnership - Since 1996, the White River Partnership has been bringing people and communities together to improve the long-term health of Vermont’s White River watershed. A listserve has been established to support your work. 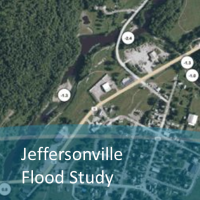 The listserve is intended for everyone involved in flood resilience planning in Vermont, but especially planning commission members and the professional planners involved in the first generations of flood resilience plans. Your questions, needs, discoveries and drafts will help everyone else. Learning from peers is one of the best ways to avoid mistakes and identify best practices. Please share your thoughts, experiences and what you have learned with others. Another resource, the FloodSafe Listserve also supports individuals working to adapt their structures so that they are safer and less costly to insure. DEC Floodplain Managers - Key contacts for communities in northern, central and southern Vermont. Vermont Floodplain Management Blog vtfpm.blogspot.com - Current news and information regarding floodplain management.